Some WooCommerce shortcodes ask for the category ID to display a list of categories. More info at Shortcodes included with WooCommerce. Go to: Products > Categories. Hover over a category name. Click it or click Edit when it appears. Find the page URL. For example: Section tag_ID=1112 where 1112 is the ID of the category. 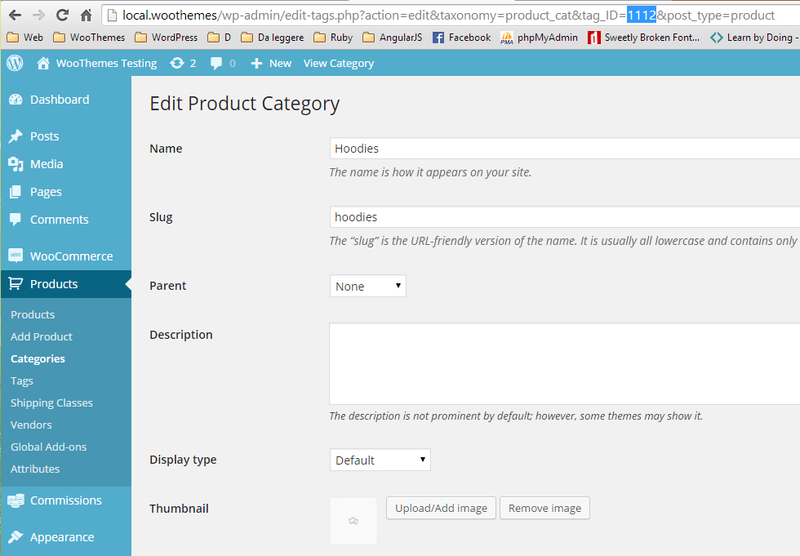 To find a product ID, see Product at the WooCommerce Shortcodes list.